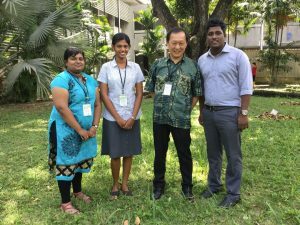 Prof.A.Raman challege trophy physiology quiz was held in malaysia on 15th and 16th of august, 2017. 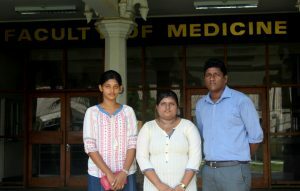 3 students of 37th batch,Shanthanaa Vasanthakumar,Thakshana Sangaradas and Gnanapragasam Vaikunthan from the Faculty of Medicine,University of Jaffna participated in the competition, whose travel expenses were assisted by the Alumini of our faculty. 103 teams from 22 different countries including UK,Japan, Australia, Singapore and China participated in the competition Our students excelled in the MCQ examinations and were selected for the oral quiz which consisted 48 teams. They moved up to the top 16 before getting eliminated at the quarter finals. It was a commendable performance from our students to go this far in such a highly competitive event. 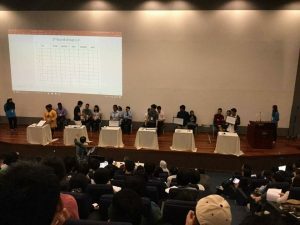 Faculty of medicine, University of colombo became the eventual champions. Next story Warm welcome to the new batch!